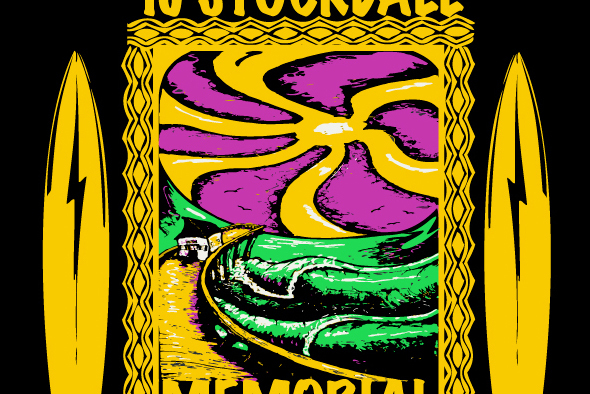 TJ Stockdale was a surfer from Ocean Grove who was known to the younger generation of surfers coming up in the area as one of the best at their home break. He would stoke out the groms with his elevated surfing skill, as well as with his positive attitude in and out of the water. TJ was also a lifeguard in Ocean Grove, a longtime employee at Eastern Lines surf shop in Belmar and the son of local O.G. legend Danny “The Admiral” Stockdale. Graduating from Neptune High School, TJ attended Flagler College in St. Augustine, Florida. TJ inspired surfers like John Glenn to follow in his footsteps, dedicated to surfing hard, while still seeking a college education. Sadly TJ passed away much too soon, at the age of 21, in a car accident while in St. Augustine in 2002. 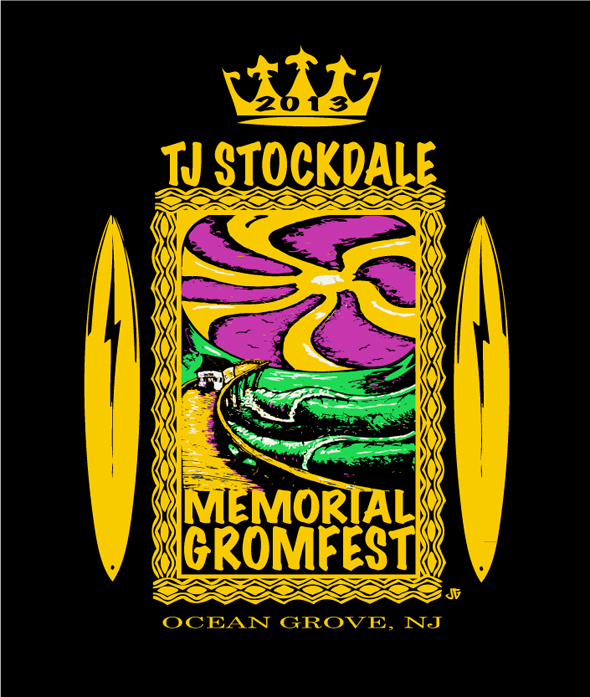 In the summer following TJ’s passing, the TJ Stockdale Memorial Gromfest was started by his friends and fellow surfers/lifeguards Jack Green and Jamie Doyle. Jack Green and TJ Stockdale were planning a similar event for the groms of Ocean Grove that never came to fruition. Jack and Jamie felt it was only right to help bring their passing friends’ vision to life. This years contest will be the 11th year the event has run, something all the local surfers of Ocean Grove look forward to, helping foster the younger generation of surfers and also celebrating the life of a great surfer and friend. This entry was posted on Wednesday, August 21st, 2013 at 2:48 pm. It is filed under SURF. You can follow any responses to this entry through the RSS 2.0 feed.